85 percent of Americans say cleaning products are safe when used as directed. Among 1,013 adults surveyed for SDA by International Communications Research (ICR), a strong majority believe the cleaning products they use are ‘very safe’ (27%) or ‘safe’ (58%) when used as directed. Install child-safety locks on cabinets that house cleaning supplies, medicines, cosmetics, chemicals and other poisons. Never assume a cabinet is too high for a curious, climbing toddler. Keep all household products in their original packages. Packaging includes useful first-aid information in the event of accidental exposure or ingestion. If you purchase these products in bulk quantities, buy a smaller size of the same product and use this container for refills. Use child-resistant packaging properly by closing the container securely after each use. Remember, however, that this type of packaging is ‘child-resistant’, not ‘child-proof’. It’s not a substitute for keeping products securely out of reach of young children. Read and follow the product-label directions. Pay particular attention to products whose labels include the words ‘caution,’ ‘warning,’ ‘danger’ or ‘poison’. Take out only the amount of cleaning product needed for the job at hand. Store the rest away securely so there’s no chance that small explorers will get their hands on it. Don’t mix household cleaning products. This could release harmful vapors or cause other chemical reactions that can have dangerous results. Don’t leave cleaning buckets unattended. Even those with a small amount of liquid pose a danger to ‘top-heavy’ toddlers. If the child falls into a bucket, it may not tip over and he or she could drown. The product could also spill onto a child’s sensitive skin. 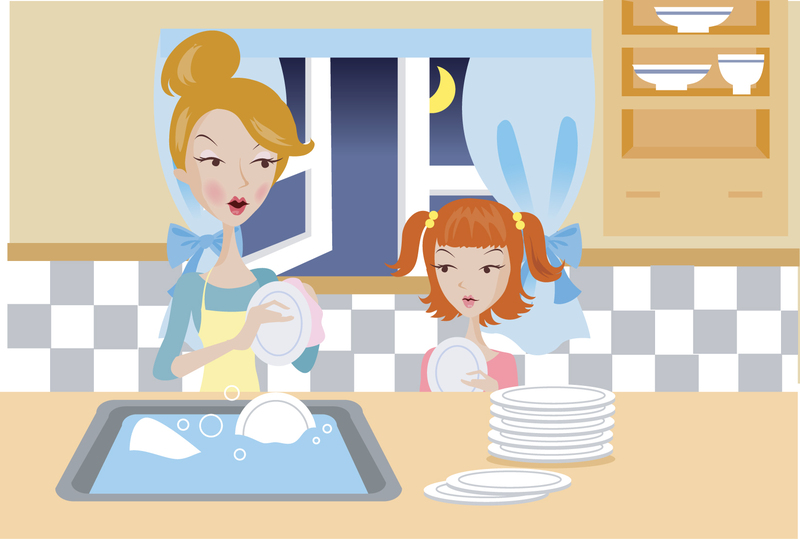 Schedule cleaning during ‘down times’ such as nap time or when children are in school or on a play date. Immediately clean up any spillage. Quickly and safely dispose of rags, paper towels, etc., that you have used for cleanup. Avoid distractions or interruptions when children are present during cleaning. If you answer the door, take the child with you. If the phone rings, let the answering machine do its job.